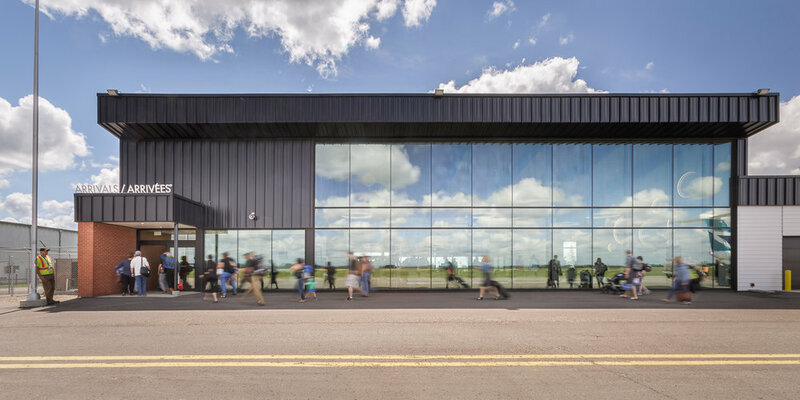 Brandon Municipal Airport | prairie architects inc. 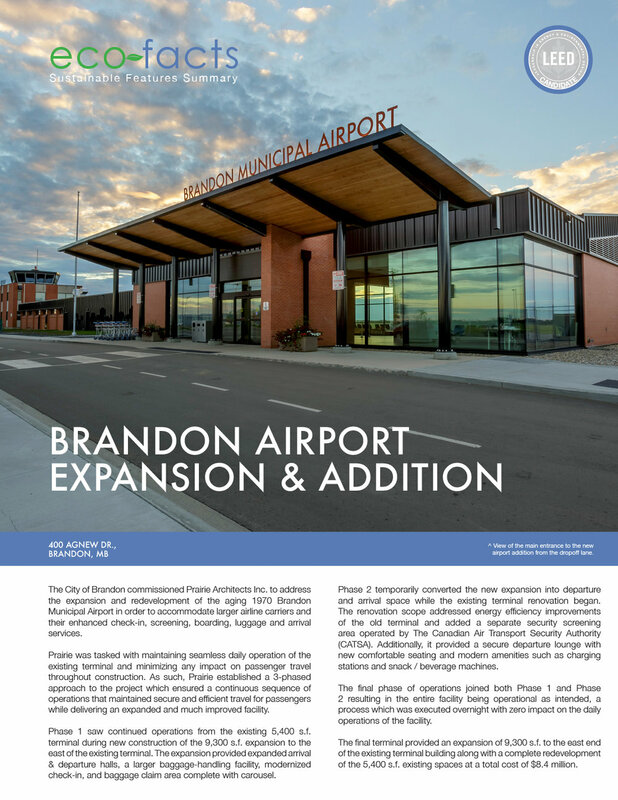 The City of Brandon commissioned Prairie Architects Inc. for the expansion and redevelopment of the aging 1970’s Municipal Airport in order to accommodate larger airline carriers and modern passenger check-in, screening, boarding, luggage and arrival services. The project team developed a multi-phased approach that maintained seamless daily operation of the existing terminal and minimized any impact on passenger travel during the full duration of construction. The first phase was the construction of a new 9,300 s.f. addition to the east of the existing 5,400 s.f. terminal, which maintained ongoing operation throughout the process. 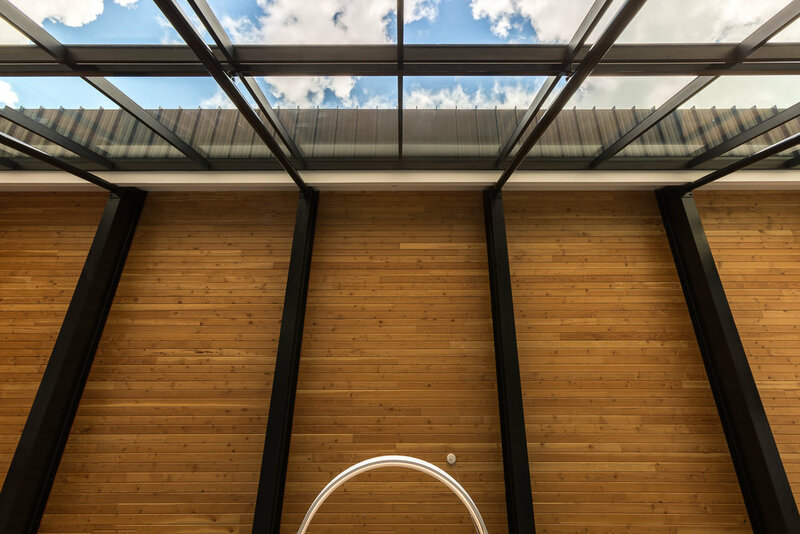 The addition provided an expanded arrivals hall, a larger baggage-handling facility, modernized check-in, and baggage claim areas complete with carousel. The second phase of work temporarily converted the new expansion into departure and arrival space while the existing terminal renovation began. 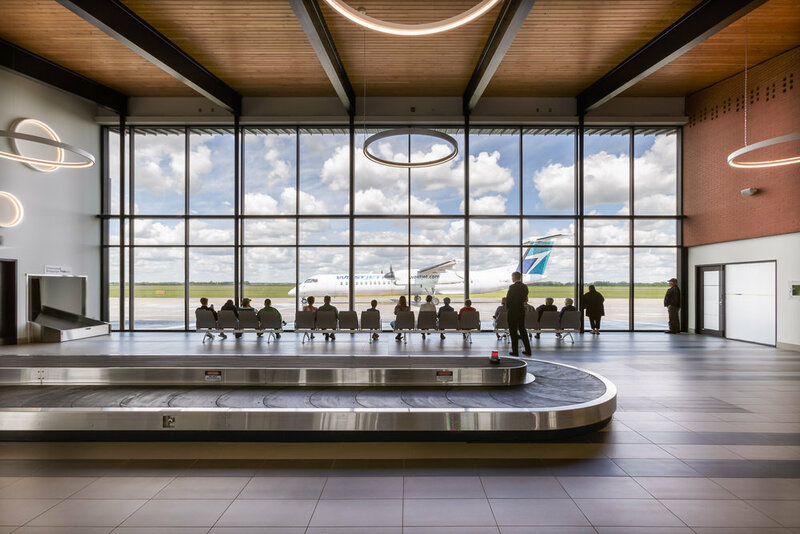 The renovation scope addressed energy efficiency improvements of the existing terminal and added a separate security screening area operated by The Canadian Air Transport Security Authority (CATSA). 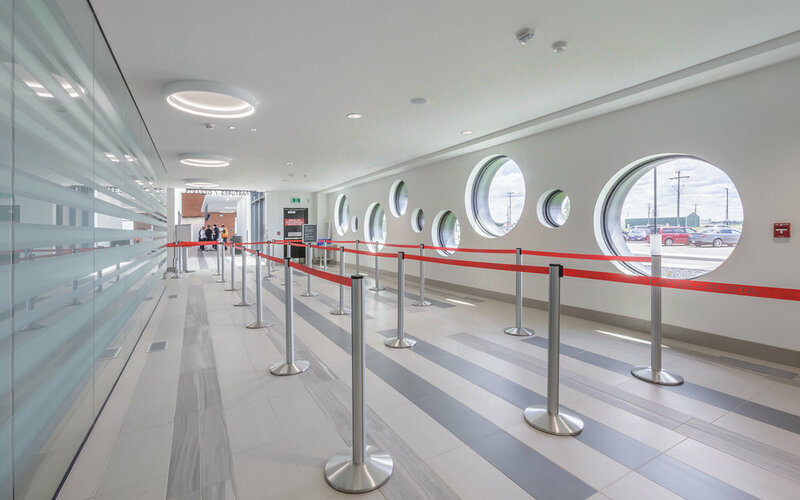 Additionally, a secure side departure lounge with new comfortable seating area was designed complete with device charging stations, snack/beverage/coffee vending machines, a water fountain/bottle fill station, an ATM terminal, and accessible washroom facilities. 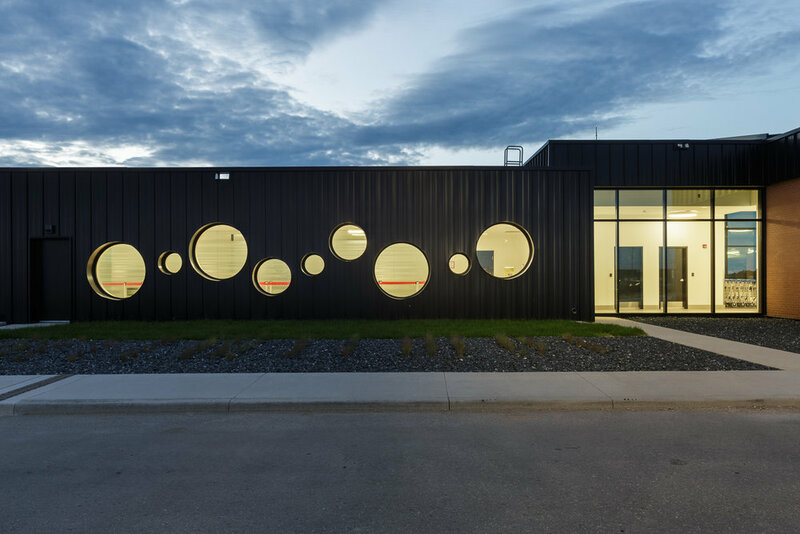 The final phase of operations joined both Phase 1 and Phase 2 resulting in the entire facility being operational as intended, a process which was executed overnight with zero impact on the daily operations of the facility.